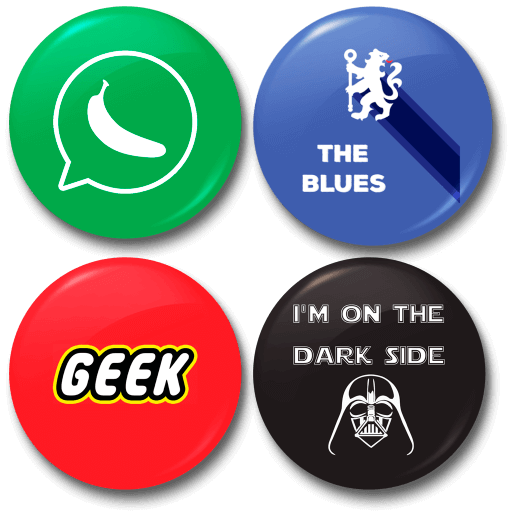 These badges are a great way display your opinion, the technologies you use or just fun stuff. You can apply the badges on clothes, bags etc. The badges, with a diameter of 58mm, are made up of aluminium front and have a plastic back. This makes them very lightweight and rust proof as well. The artwork has a smooth glossy lamination on top. You can check out all the badges here.